Silky skin is 1 scoop away! Our brand new chocolate mask is a skin softener, wrinkle defender and skin revitalizer- it just won't cook! 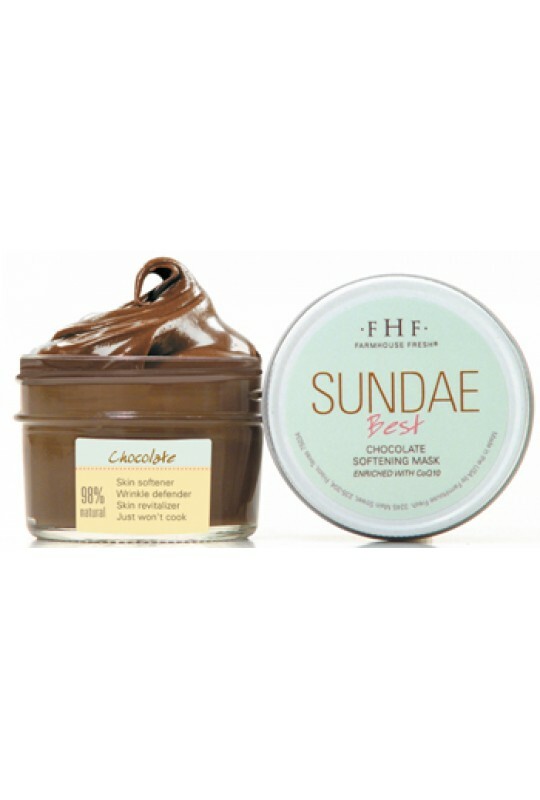 Sundae Best is a natural, blended active face mask with soothing wholesome ingredients like cocoa, coconut milk and honey in addition to powerhouse enzymes that boost your natural defenses against wrinkles and sagging - including CoQ10, Live Carrot Fruit Cells and Ginseng Extract. This mask leaves your face feeling tight, smooth, and radiant! 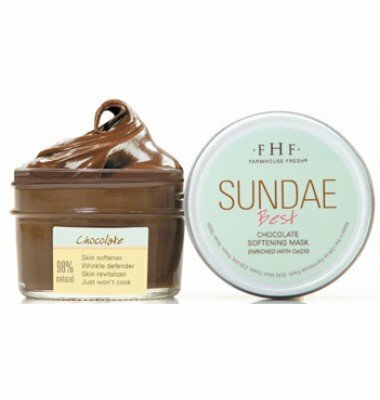 Sundae Best temporarily flushes your skin with rosiness. Once the mask dries, rinse it off with cool water, and feel the silky softness. Sundae Best is recommended for all skin types EXCEPT those with roscea (Use Pajama Paste instead). We LOVE it after using One Fine Day Flawless Face Polish!